You are here: Home / Western New York State of Mind / Western New York Media Market: Whole Greater than Sum? But, as it seems to have happened to our region ever since Canada left us no choice but to build the Saint Lawrence Seaway, fate once again dealt a bad hand. The same market collapse that produced the Enron scandal revealed an equally fatal accounting scandal within Adelphia. Rather than cutting a ribbon on a new hub for his community, we saw our supposed savior frog-walked in an orange jumpsuit. Adelphia – always a thorn in the side of the major cable companies – saw its assets bought by and assimilated into its former competitors. Even WNSA, a rising force in local – and maybe even national – sports journalism, found itself now owned by Entercom Communications. WNSA had offered serious competition to Entercom’s WGRZ. By buying WNSA and changing its format, Entercom took out its only real local competition. It also took out Western New York’s one true radio station. You see, with its central location (Wethersfield is a town in Wyoming County, smack dab in the middle of the broader Western New York footprint Adelphia created) and its mono (as opposed to stereo) broadcast, 107.7FM reaches a much larger coverage area during the entire day than any other radio station in the area. 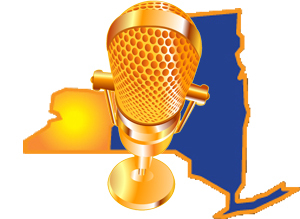 When WNSA provided original sports programming (including local high schools in both Section V and Section VI as well as local colleges), people from the entire region had a reason to listen. And they did. I don’t know the numbers, but I’d guess fewer people listen to 107.7FM today (it’s called WLKK “The Lake”) or, at the very least, the market is more concentrated. If the proposed Adelphia headquarters represented the physical beginning of a new era in Western New York, 107.7FM stood as the new media. Thanks to the Buffalo Bills and to some extent the Buffalo Sabres, there remains a juicy market ripe for the taking by enterprising media entrepreneurs. For some time now, Entercom has been linking WGRZ-AM (Buffalo) and WROC-AM (Rochester) broadcasts with shared simultaneous airing of both Sabres’ games and locally produced sports shows. This doesn’t have the same heft as WNSA-FM did, but it’s a start. Of greater interest, Rochester’s Democrat & Chronicle and Buffalo’s WGRZ-TV (channel 2 for those who haven’t kept track) recently began promoting a joint news web-site highlighting the Buffalo Bills search for a new coach. In the end, Adelphia, its headquarters and its media properties might reside only in the past, but, just perhaps, maybe its concept of a unified media market remains. Author’s Update: I wrote this more than six years ago. It was published on my personal blog at that time. Do you think the Pegula’s might have found it? At lot of water has gone over the dam and under the bridge since I originally penned this piece. Not only have we gone through another search for a Buffalo Bills coach, but both the Sabres and the Bills are operating under new ownership. Significantly, they have the same owner – the Pegula family. On Monday, June 20, 2016 Pegula Sports Entertainment announced a ten-year deal with MSG Networks, in effect creating “MSG Western New York” (or, as I like to call it, “MSGWNY,” where the “GNWY” can stand for “Greater Western New York”). In looking at the publicly stated mechanics of the deal, it appears this new network will use the regional professional sports teams (i.e., the Sabres and the Bills) as the foundation upon which to build out a broader GWNY-centered regional sports network. There remain hurdles to this. For one, Time Warner and its successor entity “Spectrum” have rights to key sports programming. Still, MSGWNY is a start. Who knows? Maybe we’ll see a competing regional sports network called SGWNY Sports Network (as in Specturm Greater Western New York Sports Network).